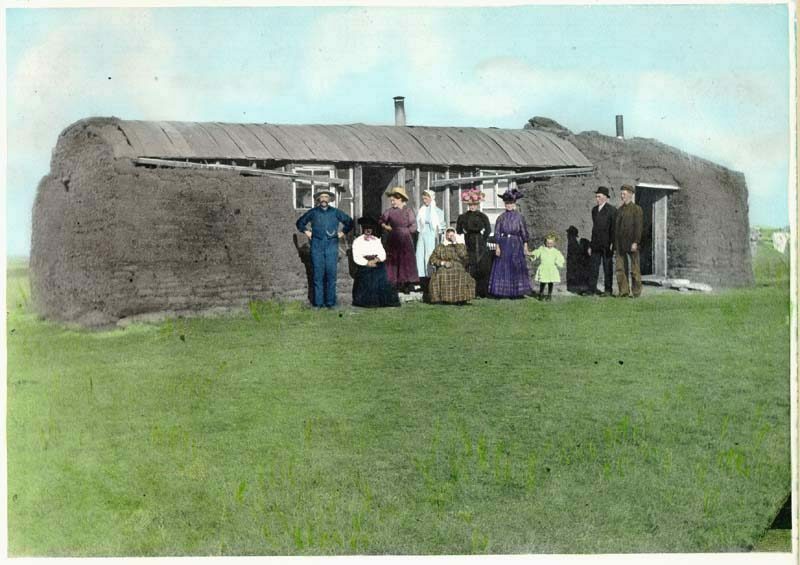 An actual sod house and on the prairie. The search for adequate shelter has led mankind in a lot of interesting directions over the years. Many times, people in widely-separated regions of the world have come up with amazingly similar answers to this problem. Mostly, they have found ways of using the materials that nature provided for them. We see this in over and over again – from the Eskimos making their igloos out of ice to the Plains Indians making their teepees out of buffalo skins. One of the more unusual building materials that have been used in various parts of the world is grass. Grass huts are commonly thought of in connection with Hawaii and the tribes living on Pacific islands, but they were used in many other places, including parts of Europe. Huts have been a common solution for temporary shelter. 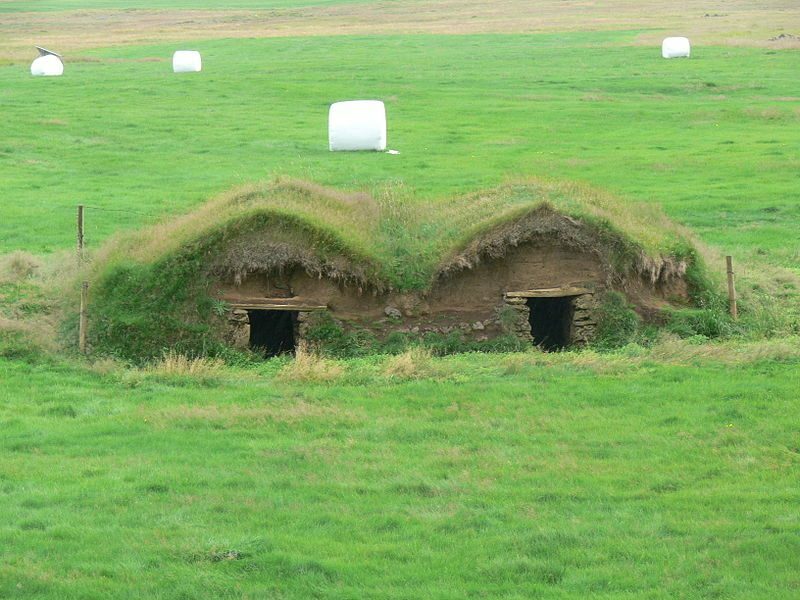 Here in the U.S., our pioneering ancestors came up with their own version of the grass hut – one that really doesn’t look much like a hut but rather a home made out of strange bricks. This is the soddie. 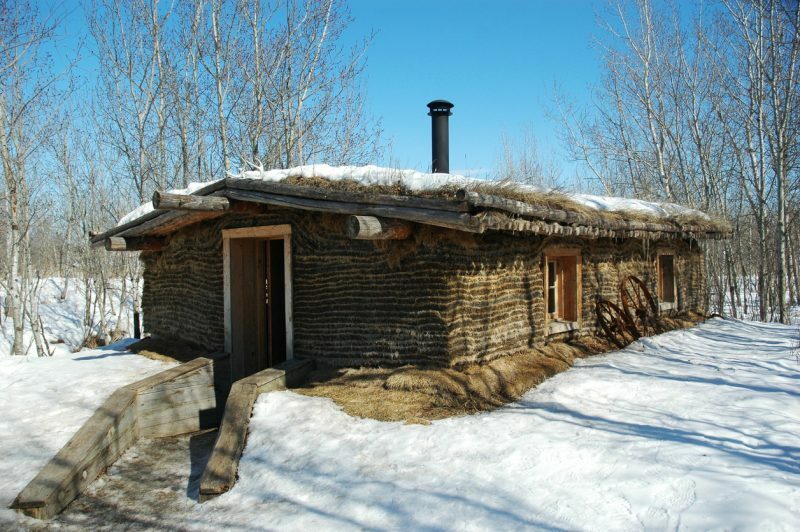 Soddies came about because there were few trees growing on the Great Plains, so finding enough wood to build a log cabin was difficult in many places. What there was in abundance was grass, so people who couldn’t afford to have wood shipped in by the railroad would build soddies out of grass. The soddy is different from typical grass huts in that it isn’t the stalk of the grass that is used but rather the roots. The roots of the grass were often so intertwined and packed together that farmers couldn’t plow through it and would have to cut the sod off the topsoil so that they could plant. 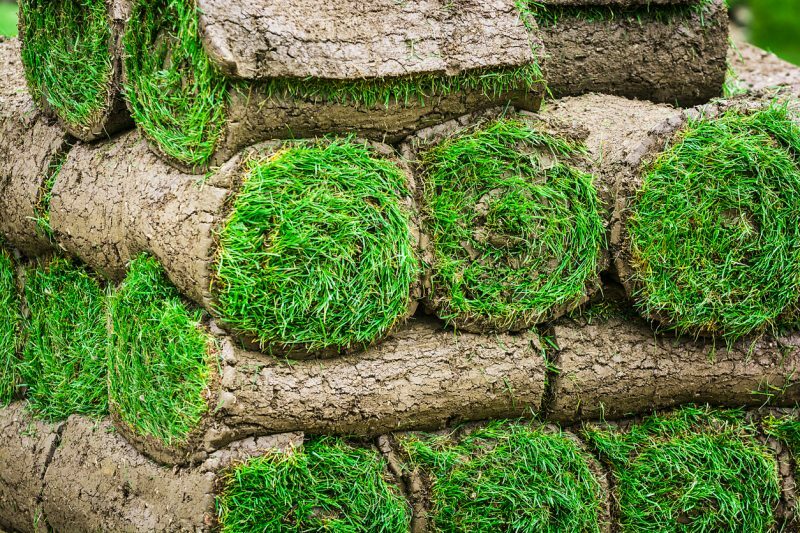 This cut of sod became a valuable building material. Before the sod could be cut, the grass would need to be cut off. This would be stored as hay to provide food for the farmer’s animals in wintertime. Then, the back-breaking process of cutting the sod would begin. The roots of grasses tend to grow sideways, allowing the grass to propagate rather than growing down. Cutting sod requires finding the bottom of the sod and cutting horizontally below it to separate it from the dirt below. If you do this with the grass in your yard it will probably be about two inches thick, but for the grass in the Great Plains the sod was about four inches thick. Sod bricks were typically 12 inches wide by 4 inches deep by 2 or 3 feet long. The house was built from two courses of these sod bricks, making it 24 inches thick or more in some cases. The bricks themselves were laid with the grass side down. As with any other brick construction, courses of bricks were laid with the joints staggered. Each alternating layer was run crosswise to give it added strength, holding the two courses of sod bricks together. Cutting the sod was the most difficult part of the process as it had to be done by hand using a spade. In the mid-1800s, the “breaking” or “grasshopper” plow was invented, which cut the sod in long strips rather than having to do it by hand. Windows and doors were places where wood had to be used in a soddy. These were mounted in place as the walls were being built, with wooden pegs driven through them into the sod to hold them in place. Cedar became the favorite wood to use as it didn’t rot easily and was strong. Typically, windows and doors ran almost all the way up to the roofline so that there wouldn’t be any need to put sod above them. Rags or grass were stuffed into the space between the windows and the roof so that the wind could not come through. Most of the wood that was used to make soddies went into the roof, especially for the rafters and ridge pole. If the family could afford it, the roof would be covered with wood shingles – again, usually made of cedar. 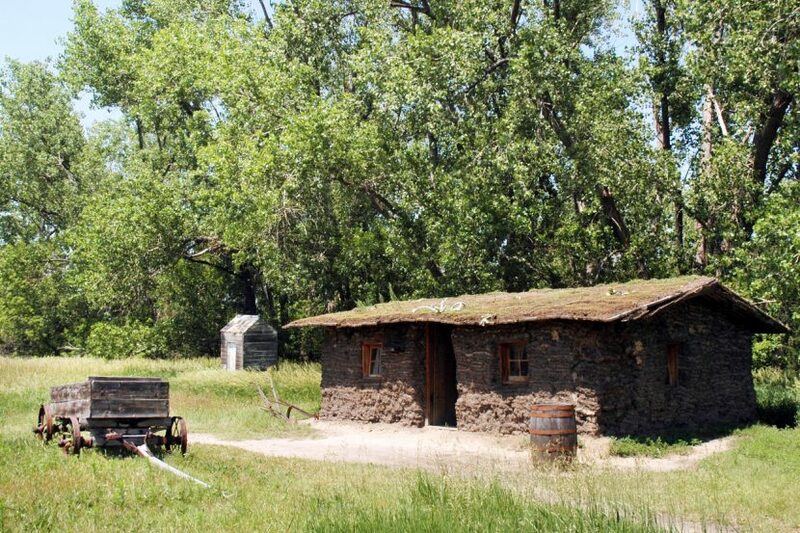 In cases where the family didn’t have enough money for shingles, a thinner layer of sod could be used for the roof. In these cases, tar paper would be placed under the sod to help make the roof waterproof. 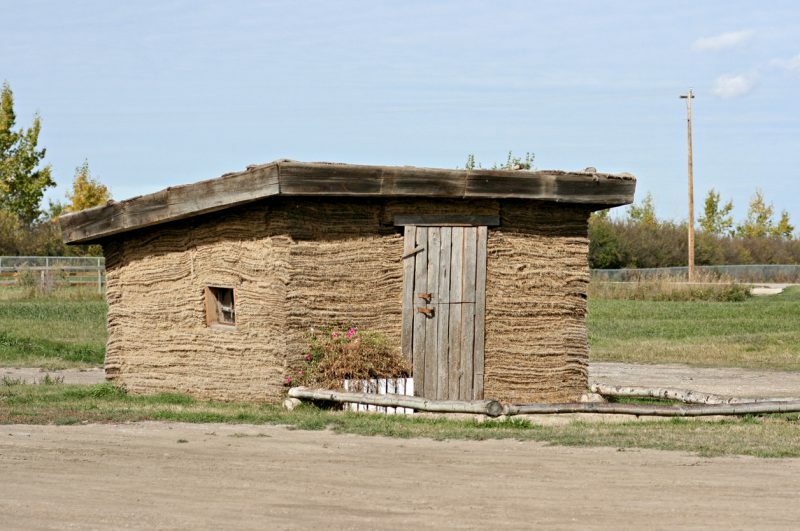 Building a home out of sod may not seem like the greatest or most attractive building material, yet sod houses were comfortable homes. The thick walls made for excellent insulation: helping keep the summer heat out and the winter cold at bay. If the family could afford it, the interior and exterior sides of the walls would be covered with stucco to prolong the life of the building and make it more attractive. A soddy without stucco was only good for six or seven years before it needed to be replaced. This made it a very temporary arrangement that was used as a family was starting their homestead. As their fortunes increased and they could afford to have lumber brought in, they would replace the soddy with a more traditional wood home. What made the soddy popular was that it could be built by anyone, just about anywhere, for minimal cost. It was especially well suited to the Great Plains, where there were few trees available. It would likely work just as well in a long-term survival situation where grass was plentiful and lumber was scarce. The big advantage over some other building materials is that a soddy can be built considerably quicker than, say, a log cabin. This is doubly true if the trees need to be felled at a distance and the logs dragged to the building site. But then, if you have that many logs available, wouldn’t it make more sense to build a log cabin, which can last much longer? Of course, like the settlers in the Great Plains, anyone building a soddy for a survival shelter needs to understand that it will only last for a finite period. Protecting the outside with stucco or some other material will add to the life of the structure, but it will not last indefinitely. Eventually, it will need to be replaced. Earthbag construction can be seen to be similar to the soddy in that it entails building with earth by laying up courses – as with bricks. But earthbag uses continuous layers rather than bricks to give it additional stability. The use of the bags (actually long tubes) offers protection to the dirt within and helps it to last longer.